I have recently read the forester research on RSS where I was not surprised to see that only 11% of online adults use RSS. Every time I have asked the question more than 80 % of the people answered that they just did not know what a RSS was (Last week only 1 person out of 15 answered that he knew what a RSS is and is using it regularly). Is RSS then reserved for web geek’s ? Imagine a perfect company where you would be able to subscribe to RSS feeds corresponding to your your area of expertise. Every time somebody post an information, store a document, or resolve an issue in your field of activity, a feed could “come to you”. you would then be kept up-to-date with the latest development in your area of expertise and the info would come to you because you have decided it and not because somebody may have thought that you would be interested. Does email newsletters are then obsolete inside a Enterprise ? Not really, Newsletters are most of the time nice graphical publications from the management which need to be published to every employees and not only to people who wants it. However, some departmental email Newsletter which contains just a summary of the week activities could easily be replaced by a RSS feed allowing then to reduce the email load of people who are not concerned by those activities. 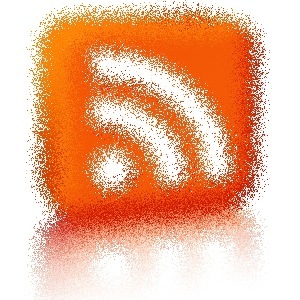 You have to make the difference between your inbox and your RSS reader. In your mailbox, you receive tasks, newsletters, appointment, “pushed” info… Your RSS reader is an info stream manager that could help reducing the email overload. However, before that can be done information must be organised inside the company and workplaces have to be defined for team projects. the RSS is just the icing on the cake. Online or Offline usage ? Do we need to create an account ? For Web feeds or intranet feeds ? Do you need a mobile version ? Hi Sebastien and Happy Holidays to you! I have been partial to Netvibes, wondering why they didn’t make your list? Like I said on Twitter, I just imported (via OPML) all my blogs to Google reader to see if that would make a difference in my RSS consumption. I’m finding, these days, I use Twitter to flag “don’t miss” blog posts, as either a conversation kicks up or one of my Twitter friends alerts me to a new post in my stream. Even Tim O’Reilly (Mr. Web 2.0) weighed in with similar thoughts. http://twitter.com/timoreilly/statuses/1017022855. That being said, there are other great reasons to love RSS. For instance, I can get updates from social platforms I subscribe to via RSS, as well as put RSS widgets (like from Newsgator) on my blog. In general, I think you’ll find the masses of non-2.0 folk, don’t know what RSS is. If we keep up the good work of evangelizing these great tools, eventually everyone will find these tools as valuable as we do.